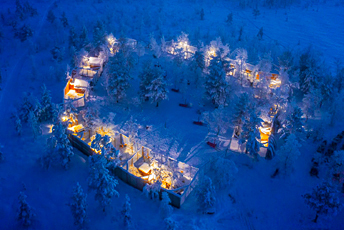 Aurora Mountain Lodge is located near the mountains of Lapland. 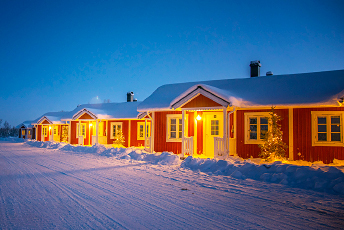 With its pristine wilderness, there is a strong tie to the Sami people in the area. On a clear day, you can see the stunning Kormakka from most of the restaurant and lounge! 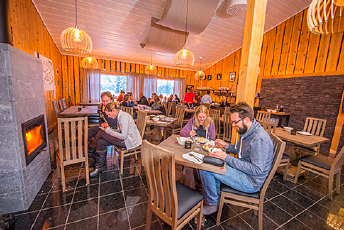 The entire lodge was completely renovated in 2016. This unique location is perfect for those wanting to get away but not wanting to give up the creature comforts of home. In the main lodge there are six incredibly spacious double rooms. Each room has its own bathroom and shower. 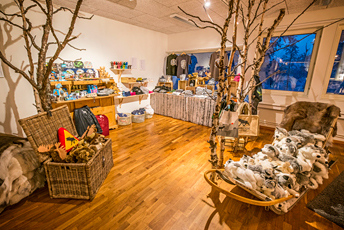 They are simple and comfortable with a touch of Nordic design. 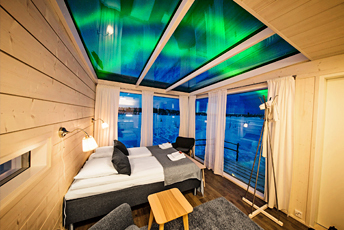 Enjoy the remoteness of Lannavaara from one of our 14 Aurora Cabins. The open floor plans allow for a relaxed feel. Bask in the warmth of your own wood burning stove only 100 meters from the main lodge. 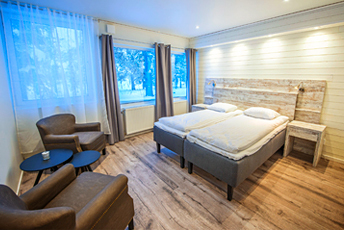 Each cabin features en suite facilities as well as a bedroom with modern, comfortable bunk beds. Perfect for couples or groups up to six. With stunning views on either side, the large windows of the restaurant and lounge provide the perfect place to start and end your day. Enjoy amazing locally sourced food in modern takes on Swedish classics. Relax with a book by the lounge fireplace with a locally brewed beer or glass of wine. 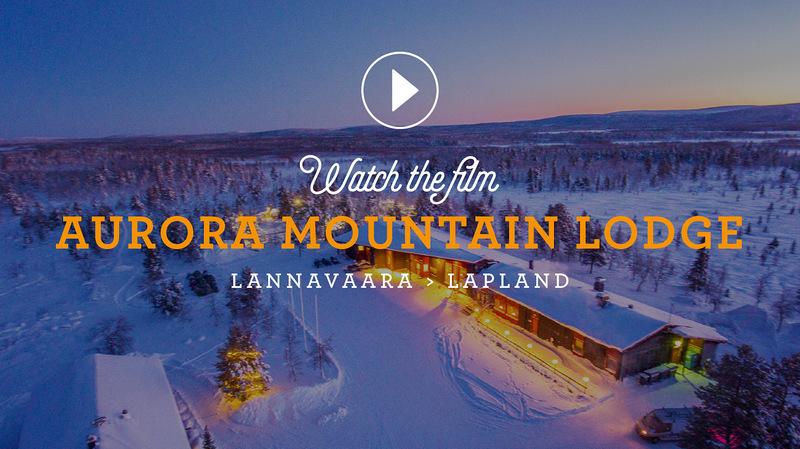 Get a taste of Lapland while taking in the views. Melt away your everyday stresses in our Jacuzzi and sauna and fully relax into vacation. 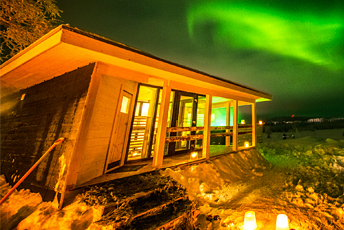 Spend a relaxing evening star gazing and aurora spotting from the warm Jacuzzi. After a day in the forest, spend some times in the sauna to refresh yourself for tomorrows adventure. Enjoy all the amenities of a hotel room with the added bonus of Aurora viewing all night long from our stunning Aurora Suites. Even if you miss the lights, you will enjoy unparalleled views of Kourmakka! From headlamps to key chains, we have a wide assortment of items available in the souvenir corner. Send a post card home to share your vacation with loved one. We even have some warm clothes in case you forgot something! 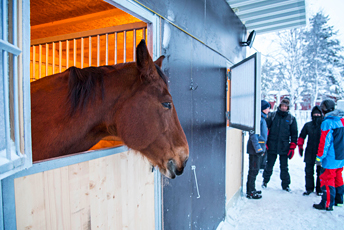 Meet the six wonderful horses that call Aurora Mountain Lodge home. Learn how to brush and saddle a horse before a horseback riding tour or just stop by to say hello. Each horse has a distinct personality, get to know each one! 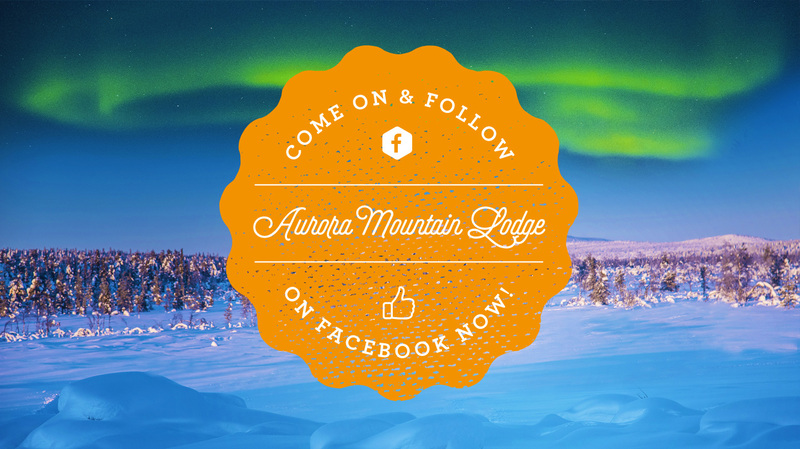 Aurora Mountain Lodge is home to more than 50 huskies. Stop by the Husky Camp any day to meet some hard working doggies. Help in the Husky Camp and get to know your dog team before heading out on the trail. These pups are always ready for a cuddle!